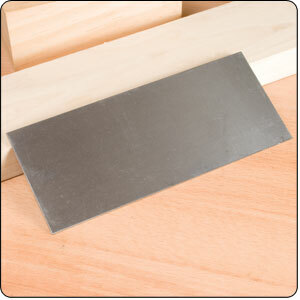 A card scraper (also known as a cabinet scraper) is a woodworking shaping and finishing tool. It is used to manually remove small amounts of material and excels in tricky grain areas where hand planes would cause tear out. 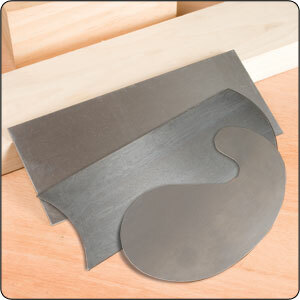 Card scrapers are most suitable for working with hardwoods, and can be used instead of sandpaper. Scraping produces a cleaner surface than sanding; it does not clog the pores of the wood with dust, and does not leave a fuzz of torn fibers, as even the finest abrasives will do. 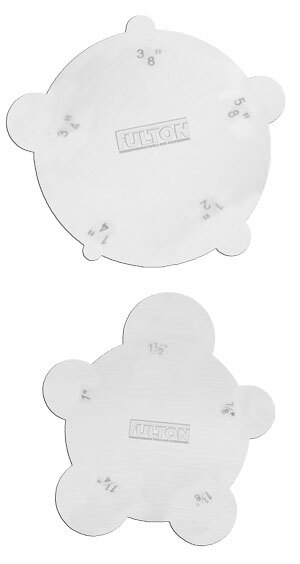 The ends of the Concave / Convex Cabinet Scraper are designed to be used on rounded or hollowed services. The edges for flats. Works like a regular card scraper but is a little harder to sharpen on the ends. Scraping produces a cleaner surface than sanding; it does not clog the pores of the wood with dust, and does not leave a fuzz of torn fibers, as even the finest abrasives will do. The gooseneck scraper has a shape resembling a french curve and is useful for scraping curved surfaces or for scraping convex shapes such as violin fingerboards and shaped areas on furniture. Scraping produces a cleaner surface than sanding; it does not clog the pores of the wood with dust, and does not leave a fuzz of torn fibers, as even the finest abrasives will do. 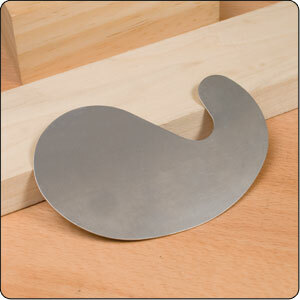 The Beveled Cabinet Scraper is great for working in smaller areas such as the bottom of a box or a drawer bottom. 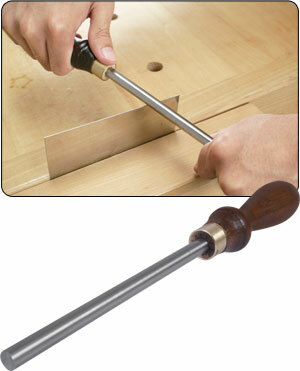 The Beveled Scraper also works well when refinishing assembled furniture pieces. 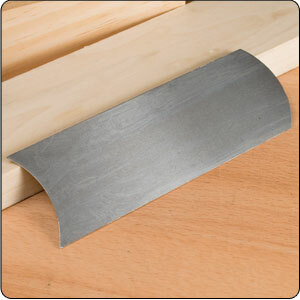 Scraping produces a cleaner surface than sanding; it does not clog the pores of the wood with dust, and does not leave a fuzz of torn fibers, as even the finest abrasives will do. Made of high carbon steel these scrapers will remove unwanted milling marks & are ideal for figured wood. Each scraper is .031" thick. Remove tool marks and prepare wood surface for finishing better than sandpaper with this 6 piece Scraper set. Two of the scrapers have rounded edges to prevent accidental digging into your work. This scraper set is designed to be used for fine, detailed workpieces. Great for smoothing between lacquer applications on curved pieces and restoration work where small detail work is needed. 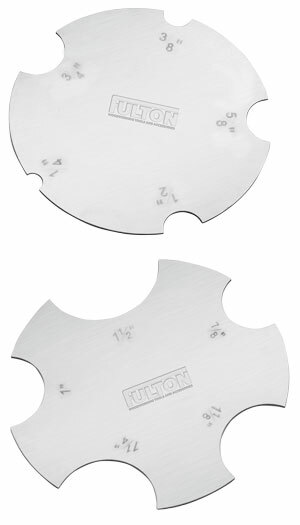 The Fulton Concave Scraper set (2 Pack) lets you produce a smooth surface without using and spending extra money on sandpaper. 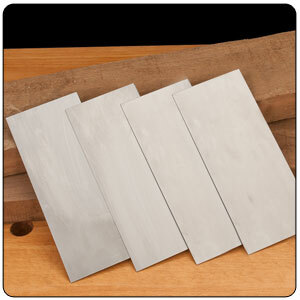 These high quality tempered steel scrapers are approximately 80mm thick and are ready to be burnished. Our set includes 2 unique scrapers that are designed to scrape rounded edges like beads, roundovers, spindle legs and more. The Fulton Concave Scraper set (2 Pack) lets you produce a smooth surface without using and spending extra money on sandpaper. 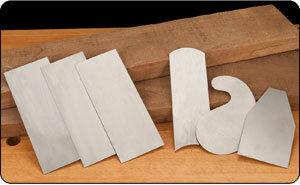 These high quality tempered steel scrapers are approximately 80mm thick and are ready to be burnished. 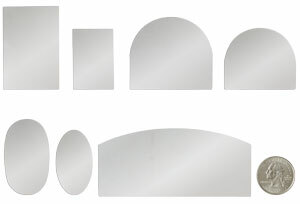 Our set includes 2 unique scrapers that are designed to scrape recessed edges like flutes, raised panel edges and more. 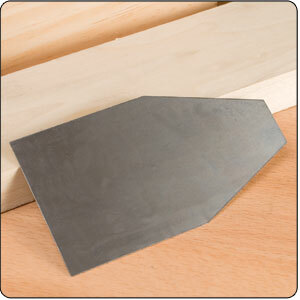 Burnishers are considered to be required tools for woodworkers who use cabinet scrapers on a regular basis. When scrapers have been squared with a file and fine sharpening stone, the hardened steel burnisher turns over the thin cutting edge that make scrapers operate so effectively.